Ecolab’s chief technology officer describes his company's zest for problem solving. The Challenge: Drive innovation to ensure clean water, safe food and abundant energy at 1.3 million customer sites around the world. The Plan: Create a culture of innovation that hires and rewards employees who have empathy for customers and are deeply committed to solving their problems. The Execution: Use expert training, industry best practices and leading-edge technologies to deliver innovative products and exceptional customer service. The Result: Ecolab has earned a reputation as one of the world’s most innovative companies. The H1N1 pandemic in 2009-10 killed more than 18,000 people—a startling incitement for Ecolab, an organization focused on making the world a cleaner, safer and healthier place. Larry Berger, then Ecolab’s new chief technical officer (CTO), learned quickly what the company he had joined was made of. 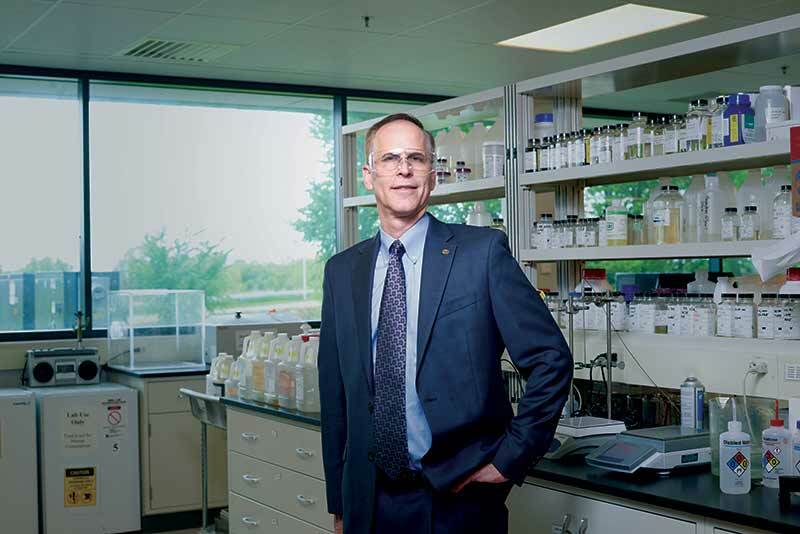 His group played a leading role in rapidly marshaling the company’s resources to educate its 1.3 million customers worldwide about the right disinfectants and sanitizers to buy and the proper way to use them to combat the H1N1 strain (aka swine flu) in such public facilities as restaurants, hotels, schools, hospitals and industrial plants. Right from the start, Berger realized how quickly a crisis can arise and how nimbly Ecolab would have to respond, providing a steady stream of information and educational seminars, as well as supplying products and services to mitigate the flu outbreak. Berger discusses the role research, development and engineering (RD&E) plays in innovating and executing solutions that optimize customers’ operations while minimizing environmental impacts. IQ: Could you tell us a little about your background and, in particular, which attributes have helped you develop and lead such an innovative company? LB: My background in my early and mid-career at DuPont [the Wilmington, Delaware-based chemical company] was shaped by a combination of technology and business development roles. Later, there were more senior operating roles where I was responsible for managing technology and all facets of it in an end-to-end process—from discovery through development and deployment. Ultimately, I helped lead some technology-enabled new business startups. I was managing some early-stage businesses. That was very helpful to see and understand how to position technology, how to solve problems that really mattered to customers and how to create value for them and ourselves. IQ: It appears that much of Ecolab’s growth is directly attributable to your employees. What kinds of principles do you instill in them to create a culture of innovation? LB: We generally look for folks who have a lot of empathy for customers and interest in solving problems. We hire very creative, talented, smart, diligent people who are willing to translate insights in science and technology into unique solutions that serve our customers. We have folks who have a heavy application focus and who are tenacious in terms of problem-solving. We like individuals who can lead projects as well as work collaboratively. When I say collaboratively I also mean cross-functionally. So within RD&E, as well as within sales and within marketing, our teams generally collaborate very well. But we also like individuals who can collaborate with our customers’ technical teams. IQ: How do you ensure these principles? LB: We hire people who aspire to work for a company like Ecolab, which has a heavy predisposition around problem-solving. The culture very much rewards people and recognizes individuals who have that predisposition. IQ: What have you found to be critical in executing innovation opportunities? LB: We have at Ecolab a mindset that outcomes matter. We build teams that are cross-functional, and the team is always focused on delivering the KPIs. We also have very comprehensive metrics—both leading and lagging metrics. Lagging metrics are used primarily to ensure that we monetize our innovation. We learn from things that work, and, frankly, we learn equally well from things that don’t. Our leading indicators help us to think big, to think bold—to make sure that we’re driving innovation that moves the needle. IQ: How do you feel Ecolab has internalized innovation as a core competency? What decisions have proven to be important points along the way? LB: First of all, innovation is a team sport at Ecolab and is owned by RD&E, marketing and our corporate account sales teams. It’s a cross-functional team. The general managers are accountable. They feel a lot of pride about innovation as an integral part of growing their businesses. Second, our innovation strategy is inextricably linked to our commercial strategy. We have ambitious growth goals in all of our businesses. Innovation helps deliver and drive our competitive advantage. And third, the way we’ve organized the RD&E teams within Ecolab is somewhat unique. By way of design, about 75 percent of our team are core subject matter experts within our verticals. About 25 percent of our team focuses on what we call anchor technology platforms—our areas of core technology expertise—such as antimicrobials, hygiene and water chemistry. It’s quite an inclusive process in terms of setting the portfolio, setting the strategy and setting the priorities. IQ: Is there a core set of guiding principles that have anchored Ecolab’s innovation over the years, and how have you enforced those guiding principles? LB: We are not a technology push organization. We look to solve problems [and] create value for our customers. We are tenacious in demonstrating that, working collaboratively with customers and finding ways to scale our technology. We have a strong mindset around trying to demonstrate value creation. We spend a lot of time in our customers’ locations working in partnership with them to do that. That is a big part of how we innovate. IQ: Much of your growth has been accomplished via acquisition. How do you execute those acquisitions to ensure that your company’s culture of innovation stays consistent and strong? LB: We are very sensitive to cultural alignment. That’s always front and center in driving a successful integration. We’ve been able to bring together communities of innovators who have different perspectives and different experiences. But all of them can uniquely contribute to solving some big problems. We’ve also worked to cross-pollinate the teams. If you look at us several years after two big integrations, you see an organization that is cohesive and seamless in how we manage talent, our portfolios and our technology platforms. We also have a common set of metrics and vocabulary around innovation across the enterprise. IQ: I’m sure Ecolab’s growth hasn’t been a completely smooth ride. Tell me about the bumps in the road. As a leader, what were some of the challenges you faced and are facing? How did you overcome them? LB: We can never fully predict all the major events that impact our customers—from pandemics to regulatory changes to resource shortages. But our innovation approach allows us to react quickly and in partnership with our customers. As an example, when H1N1 hit the globe in 2009, we quickly mobilized sales, research, regulatory and supply chain divisions to provide effective and compliant products globally. We were key in enabling our customers to keep their businesses open and operational. Executing RD&E as a global organization is a continuous challenge. The key to doing this is to have solid regional leaders in place who understand the need to leverage the team’s strengths, while providing solutions that work locally. IQ: What lessons did you learn along the way that will help you innovate smarter in the future? LB: We like a more open-ended approach upfront. But once we codify our objectives, we have a very disciplined process around execution. We test and retest all the critical success factors during the course of our development. 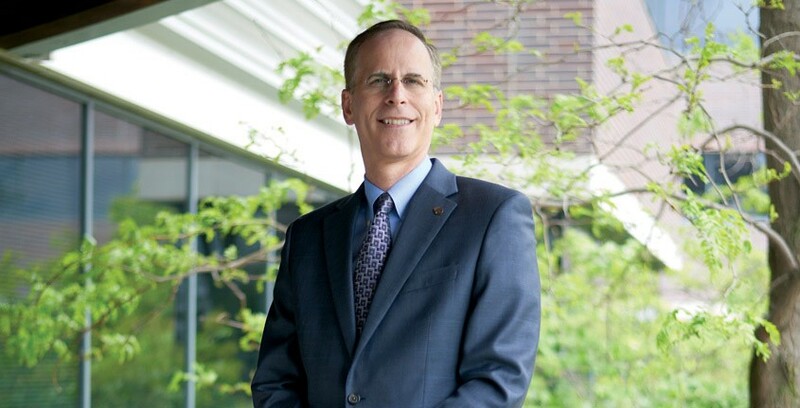 Larry Berger joined St. Paul, Minnesota-based Ecolab in 2008 as CTO and senior vice president responsible for the company’s research, development and engineering (RD&E) organization. He came from DuPont, the Delaware-based chemical company, where he spent 22 years. In 2011, he was named an executive vice president of Ecolab. Ecolab, with revenue of $14 billion in 2014, develops and markets water, hygiene and energy technology products and services for more than 20 industry segments. These include food and beverage, hospitality, health care, oil and gas, manufacturing and commercial buildings. The company, with 1,600 scientists among 47,000 employees and more than 6,300 global patents, has a long history of breakthrough innovation and a strong commitment to sustainability. It has expanded in recent years through such major acquisitions as Nalco, a water-treatment chemical company, and Champion Technologies, a specialty chemical maker focused on the energy sector. IQ: Is there anything you would do differently? LB: One of the things that we have improved is including our supply chain earlier in the innovation process. Our supply chain has always been involved, but it’s important to involve it sooner as our businesses have become more globalized, and the enterprise has become larger and more complex. That early involvement has been critical to delivering on our innovation objectives globally. We were probably a little bit slow to do that, but I think we’ve greatly improved in the last several years. IQ: What keeps you up at night? LB: I’d say I sleep pretty well. But safety is the first concern. We always care about the safety of our employees and making sure that they’re in a good place. A second concern is that we continue to use our privileged positions—where we’re often the leading provider in the industry—and not take our incumbency for granted. We need to continue to renew our innovation portfolio on a regular basis and continue to be the best provider of solutions to our customers. We constantly are searching for what are potentially disruptive technologies. We don’t want to be eclipsed. I’d say we have a healthy dose of paranoia. But we use that in a very constructive way to make sure we are never blindsided. IQ: What are three things, lessons or best practices that you think every business leader must know and understand to fuel innovative growth? LB: First, hire the best people you can, set clear objectives, coach them and let them run. Second, I think there is a constructive role for tension in the organization—not conflict—tension that ensures that all the voices are heard, and the best ideas rise to the top. Leaders need to be good listeners to cultivate an organization where you really draw out the best from your teams. Third, make sure the RD&E team maintains a very strong partnership with the businesses and with our customers. Some of the strongest relationships we have with our customers are jointly owned by our sales teams and the RD&E technology team. IQ: What are the key ingredients to great innovation at Ecolab? LB: We like to set the industry standard, enabling our customers to run their businesses better with high-impact, reliable and embedded solutions. This includes both quantitative and qualitative value to the customer that he or she understands well. Second, we like innovation that builds and strengthens the franchise. It leverages our unique assets—our people, our brand, our reach, the relationships we have, and the trust we have with our customers. And it makes our territory manager, who’s the interface to the customer, the hero. Third, we work very hard on a great deployment plan that excites all the stakeholders. So we have aggressive marketing launch plans with local ownership and accountability. Fourth, we like innovation that moves the needle. It drives operating income, drives margin and drives the topline. It also delivers on something we call the “credibility index,” which is the measure of performance versus the forecast for product launch. When we launch something, we will track it for 60 months from date of launch. And we will see how it’s doing versus forecast. Sometimes it’s doing better—we learn from that—and sometimes it’s off-track. We’ll intercept it and see what we can do to get it back on the growth curve.